Continuing the ongoing series of interviews with creative artists working on various aspects of movie and TV productions, it is my pleasure to welcome François Séguin. In this interview François talks about splitting his time between the worlds of film, theater and opera, comparing the pace of work and various aspects of storytelling in each, what makes people stay in the industry despite crazy hours and pressured schedules, shooting on location and building sets on stage, the advances in digital equipment and how that evolution is affecting the overall rhythm of a feature production, and the importance of set physicality. 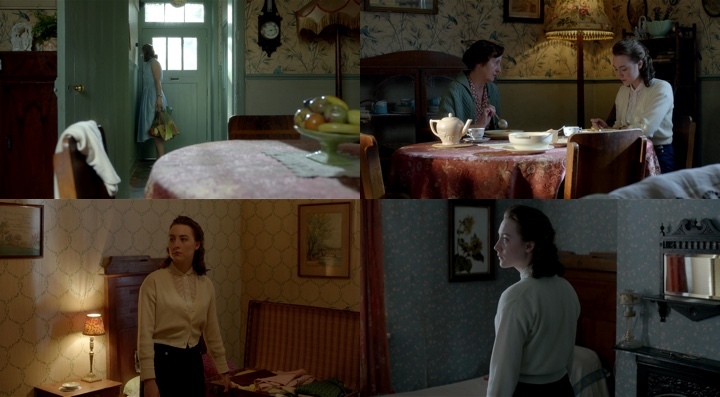 The second half is all about his work on the gorgeously designed “Brooklyn”, delving deeper into the details of researching, defining and building the sets that span two worlds bridged by the story of one girl played by Saoirse Ronan. François: To go back to the beginning, I was in a theater group in college, and everybody had to be on stage. I didn’t want to be on stage, but I was with friends, and somebody asked who wants to take care of the set. I raised my hand, and he told me that he’d give me just a little part in the play so that I could do the sets. I was happy, to not be on stage. That’s how it started. After that I went to theater school in early 1970s. I did theater for a few years, and at one point the play that we did as a young group with other people from my school had a film adaptation. I went from designing a set for the play to the same thing but on film. I mix them. Some times I don’t do much theater, and some times I go back to it. These days it’s half and half between film, theater and opera, and I also did three shows for Cirque du Soleil. Kirill: How much different are these for you? In theater and circus I’d imagine that you have less control over where people are, their viewpoints and what they’re looking at. François: The point of view is different from a movie because you don’t have the camera, so everybody has their own vision of the action. 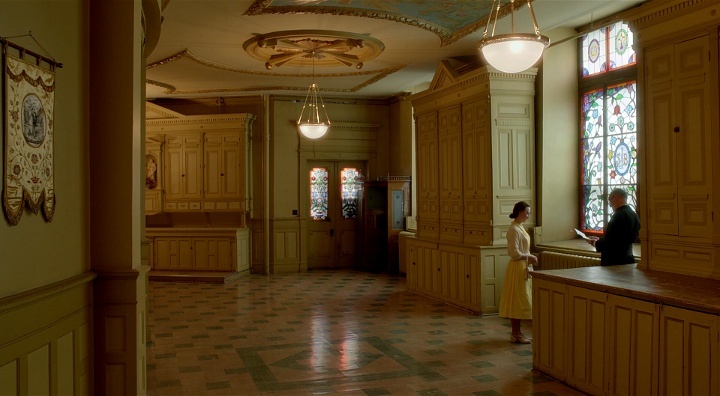 But in modern theater, with all the technical advances and especially the lighting, you can mimic the camera. You can focus the vision of audience so they have the same view. These are different experiences, but it’s all about storytelling. What is the story you’re going to tell? And depending on the medium you have different tools to do that. I like to move back and forth. I think it’s healthy mental exercise to go and think about detail, about where the camera is going to be, about where everybody is going to be sitting. It’s a bigger stroke when you do stage, and much more detailed on film, more like a fine painting. Kirill: Do you think you have more control in theater because you don’t have as many people that can change what you put on the set? François: In a way, yes. I just received an email last week from this person who liked “Brooklyn”, but he thought we didn’t have enough crucifixes and other religious images. We were shooting in Ireland which is a very catholic place, and we had them on each and every set. But the camera decides to not put them on the screen, so it’s not visible. I don’t miss the control. I think that the important thing in the end is the effect on the audience. How do they leave the world that you have created and how do they react to it? I’m not a control freak. It’s more about emotional connection with the spectator that is important for me. Kirill: Do you think there are stories that lend themselves more naturally to be told on film and not in theater? François: I did one movie a long time ago; it was an upbeat musical with different storytelling. But on most movies you’re closer to the story, you’re creating an emotional world that is very tied and connected to the reality. In theater you go for the emotional and intellectual concept of the play. I recently finished “Waiting for Godot”. It’s a classical play written in 1948 with a very elaborate description of the set, but I decided not to go there. It’s a play about people waiting for Godot, but he never comes and they are there waiting forever. I designed the hourglass, and at the end the sand is pouring down from the top, and then it disappears and you see bones. For me this is more exciting than to do a bedroom scene in a movie. But I’m as happy to see the audience respond to this play as I’m happy to see people respond to “Brooklyn”. You touch people, and that’s what you want to do. There are different tools to do that. Some people sing, some people write, and I do sets. Kirill: You’ve been doing this for 40 years or so. How do you avoid repetition? How do you avoid getting bored? François: Sometimes I do get bored. But you don’t get bored when you have a common project and everybody is involved. It can be opera or anything really. It’s about everybody focused on one goal, and if you’re lucky, you have the director who can guide everybody – in whatever medium it may be – to go in a specific direction and to have a concept for the story you’re telling. Sometimes the script might not be good, but at least it’s a good experience because you focus and everybody wants the same thing. You have somebody driving not the content, but the emotional commitment from everybody. A good moment for me is when everybody connects to the same purpose to tell whatever story we are telling. It can be opera, theater or film. Kirill: Does it matter to you how people view your work? Do you look at the reception from the critics, from the general audience, at how well a production does financially at the box office? François: The box office results is mostly about how many people see it, and as I don’t have any financial part in that, it doesn’t matter for me. But it means that people enjoyed the movie. I did a couple of important movies in my life that I’ve really connected with, and when people say that they’ve hated them, it’s a bit painful – because it’s a movie that I really believed in. I did a couple of movies that I’m really proud of, and some people still talk about them, even though that was 30 years ago. They were not blockbusters, but they made a statement and they survived. That’s a good thing. Kirill: If you look at people you worked with over the years, what do you think makes some stay despite the crazy hours and the pressure, and what do you think makes some leave even though there’s a certain glamour attached to the industry? François: Film industry is a very good place to make a living. People are attracted to that, to being financially rewarded. It’s all about experiences, happening and connections. When people leave, sometimes it’s about the pressure and the difficulty of being a freelancer. It’s not easy being a freelancer, and if you have a dry spell, you have to decide what you are going to do with your life and how are going to pay the bills. I’ve been lucky to not have those dry spells. But it’s true. When you’re in it, it’s not so glamorous. You work long hours, and I’m lucky that my kids never complain about not seeing me for months when I was away. Some people have partners who are very supportive. It takes a lot of energy and a lot of time, and you’re not home. Even when I’m shooting a film at home, which doesn’t happen very often, I’m not here. I come to sleep, and I get up, because when I’m involved with a project, I work at least 85 hours a week. It’s very tough on family life. Kirill: What’s the pace on theatrical productions? How long is your involvement there usually? François: First of all, the opening of a theater is a set date, unless there’s a disaster. They call you a year or two or three in advance, so there’s a lot of work to do at home without it being a daily thing. You don’t wake up every morning and have a set to work on. You’re working on a concept for a year or two or three, and only during the last two months you are involved in daily work. Before that you might have one meeting a week or even one meeting a month. It’s almost part time. You can juggle many theater productions at the same time – something that you cannot do on a movie. And on a movie you don’t know when it’s going to start until it starts. I’m working on a film that is supposed to start this month, and now it’s the middle of next month and it’s still not going. On opera it’s different. I was working on one project where they open in October 2018, and that’s fixed. Nothing is going to change that. It’s a different beat. You can plan long in advance, unlike on a movie. On a movie you get a phone call, you get on a plane, and you start working, and sometimes it’s not even a month. Kirill: Do you notice that on your recent film productions you have tighter schedules and less time to work with? François: I don’t know the economy of all these things. 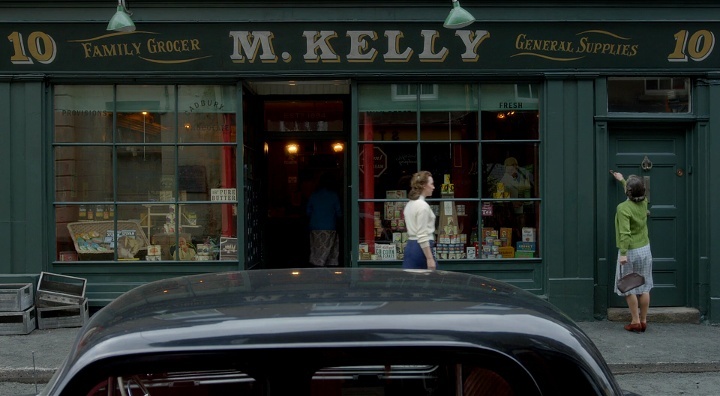 For example “Brooklyn” had 35 days of shooting, and it was a very short schedule. It’s very expensive these days to make a movie. I’ve seen incredible charts of how much a movie like “Brooklyn” would cost in 1974 and what the cost is now. It’s mind-boggling. Everything is more expensive. $10M in 1974 was a huge movie, and now it’s almost nothing. Movie schedules are starting to get very short and compressed. I’ve seen movies getting shot in 28 days, and 25 years ago it wasn’t even a concept. Even with all the traveling on “Brooklyn” we only had 35 days. Kirill: That was a very compressed schedule, as you’ve traveled between Ireland, Montreal and Brooklyn, with separate crews for each site. François: I like the gambling of working with the local crew, which is also good for the producer when I’m ready to do that. I travel with a very skeleton crew, sometimes with just a set designer and a project coordinator. But I don’t travel with set decorator or props. I just go there and try to find a local crew. This is what I did in Ireland. There were two different departments, and I was the only one moving back and forth between the two. But for me it’s not something that I’d fight against. It was an Irish story set in Ireland, so why should I bring somebody from the outside? I want Irish people to help me to make it. And if I’m in China telling a Chinese story, I want the local people helping me. It’s their world, and technically they are the ones who are going to build and talk to the carpenters and other people. I like walking on this tight rope. Kirill: So essentially every production for you is a brand new set of people to establish trust with. François: I remember sitting in the hotel lobby with a list of people from my local contact. I have this very clear image of people coming in and out, in and out with their CVs, and at the end of the three days I have to remember who is who, and you take a gamble and you choose people who you think are going to work. It works 90% of the time. The rest you make a bad call, and you’re trying to go around it. But most of the time I think I end up with a crew that is good for the project. Kirill: Going back to “Brooklyn”, how much time did you have to talk about the story and the visual language during the pre-production? François: It was pretty good. I was working in Europe at the time, and I met John Crowley [director] once or twice before I flew to London. And after that we flew to Dublin to do a little scouting. I would say that happened two months before we started doing prep. It was a good process. Sometimes it’s crazy, you go on a plane with your suitcase and you never go home, but this one was very civilized. Every rewrite of a script page gets its own color. You do an insert in a different color in order to not confuse people. The first is white, the second is blue, the next is pink, then yellow and so on. Sometimes on a movie you get the script and every page is different color by the end of it. On “Brooklyn” it started white and it stayed white all the way, which is very unusual. John worked on the adaptation with the screenwriter Nick Hornby, and they published it when they were ready. He took it like a play, the dialog was there and everything was there. We were shooting in three different countries, and it was good for me. I read the script, and that’s what we were shooting. There was no guessing at what was going to happen when I was in Montreal and John was in Ireland. The script was really the tool to work with. Kirill: Does that also help you stay on schedule, as you’re juggling all these places across the ocean? François: We didn’t have much money, and we were looking at what we could afford and what we could do. When you do a period movie, stretching something 50 feet one way or 100 feet the other way costs money. You change the street, you put the gravel, you repaint the facade, you take out a sign. So it was very helpful to have a very decided script. You know where you’re going to spend the money, and the director and the cinematographer respect those limits. You take your decisions based on the script and the budget. Kirill: Do you think having more money is distracting because suddenly you have all these options to explore? François: Sometimes yes. You spend money just in case somebody might want to move this way. If we were to reshoot some movie that I made, with the final product in mind, it might have cost half the budget. But that wouldn’t have happened with “Brooklyn”. We would shoot exactly how we did it the first time, how you see it in the movie. There was nothing that we did that went outside the frame. There was no set unused. I think there was not even a wall unused. It was all planned. It happens when you have a good team work, when everybody is on the same page and everybody is telling the same story. You go to the emotional core. That’s why a lot of the story is on Saoirse Ronan’s face. That’s where the story is, and it was helping us too. And the script was focusing on her, and luckily she’s amazing. Kirill: Absolutely, she’s fantastic. 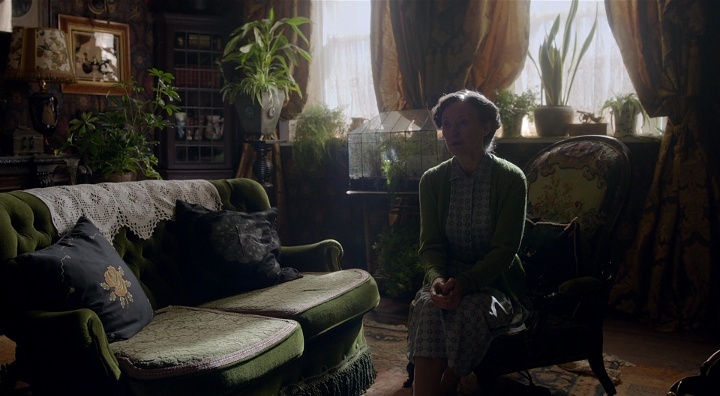 You mentioned that “Brooklyn” is a period production, but wouldn’t you say that every production is a period one, even if it’s set in the modern days? François: When it’s set in modern days, sometimes you do things for more specific reasons. If I do a movie in New York in 2016, I can say that I don’t like this room or this corner, and it’s a little bit subjective. But in a period movie you don’t have a choice to modify everything that you’re going to see. I’m working on a film now that is happening in six different centuries. I don’t have a choice when something is in 1680, or in 1400s, or in 1200s, or in 1944 in a different layer of the story. I know that in modern times I will have to accept some things, like a couch or a wall that I don’t like because I want to put all my money somewhere where I don’t have the choice, like Montreal in 1944. I know I have to make sets, but in modern times I’d be a little bit looser. I don’t have to change as many things, find as many replacements. I have a friend that only does contemporary movies, and when it’s a small story, it doesn’t cost as much money. You have to find the right place, but after that you do little tweaks, like changing the color of the bedroom. Kirill: You did a lot of location shoots for “Brooklyn”. Comparing shooting on location and building sets on stage, what gives you more freedom or control? François: Personally I prefer shooting on stage. Again, it’s about where you’re going to put your money. On “Brooklyn” the only stage set was the boat. Everything else was on location. Kirill: Was it a conscious choice to choose smaller locations on the Irish side of the story? 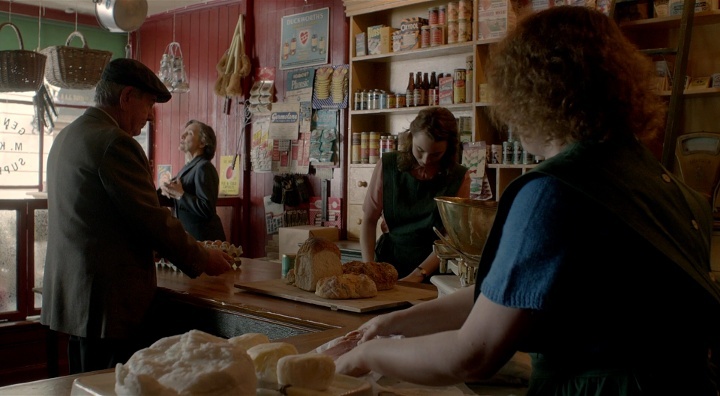 If I’m looking at the grocery store where Eilis worked, or at her mother’s house, those are spaces where you need to fit the camera and crew, and it gets very tight. François: And at the same time it’s mimicking the actual architectural space of those days. The location of the grocery store used to be an actual grocery story 50 years ago. It’s abandoned now, and we took a backroom beyond the wall that you don’t see. It was a storage room for the store, and all the crew was there, and we could move the wall. Technically, with advances in camera and lighting, it’s becoming easier. You need less light, and you need a DP [director of photography] who is ready to play this game. Yves Bélanger who also did “Dallas Buyers Club” knows how to do that. That’s what he was raised on – small spaces and not too much equipment. Kirill: If we’re talking about sets such as the grocery store in her hometown, or the department store in Brooklyn, how much time do you have to dress it up? 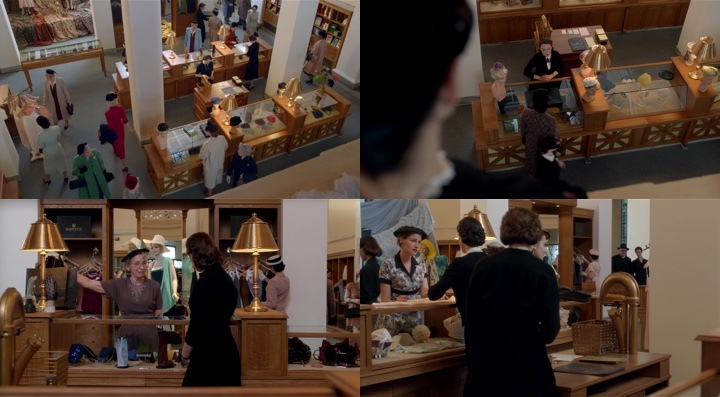 François: We did the department store in a closed library. It was roughly two weeks before shooting. Then when the shooting starts, I’m there for the opening shot in the morning. We might do some tweaking with the director and the DP, and I’d ask them if they’re OK for the rest of the day, and I move. I don’t stay on set. I try to open all the sets, to be there in the morning. I think it’s fair to the crew that I’m working with, to be there to address any mistakes we might have done. I like to be there and be responsible for all the decisions we made. You assume some things about where the camera is going to be, about the angles and the timing. For example, with the department store we had four seasons over three years. We had set up the different seasons on a cart with wheels, and you have to explain which one is winter ’51, which one is spring ’52 etc so that they shoot in the specific order to have time. I’m there to explain the process we went through and why we did certain things, and when everybody’s happy, I leave and I go to the next set. Kirill: You mentioned that there are some advances that allow people to be more efficient on the set. Are you talking about the digital cameras that are smaller and more portable these days? François: One of the bigger changes that have happened in the last 10 years is digital camera. They were heavy, with big wires going to the truck. And now they are smaller and more sensitive than film cameras. It makes everything a little bit lighter. You don’t have the loaders and the end of the roll and waiting until they glue it together to do another take. This is over. Over. But at the same time, what is missing for me is that there are no more dailies. That’s the sad part. When I started doing movies, every night we had dailies. Everybody would go at 8 or 9, sit in one room and watch the dailies of the day before. People would comment, and talk about the next day or the next week. And now everybody is watching the dailies in their own room. There is no more communal watching of the work. 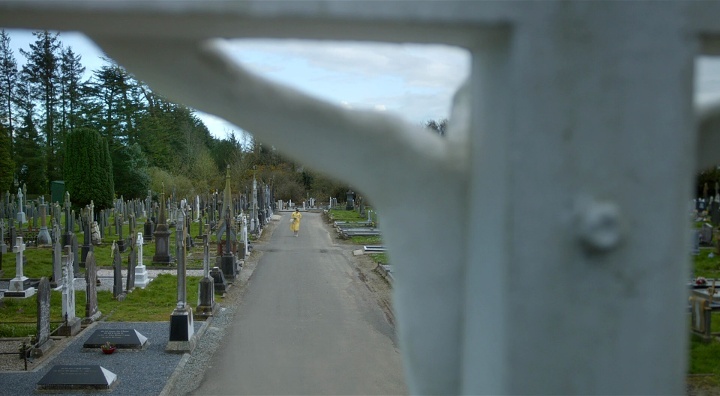 Kirill: Isn’t there a more immediate feedback of how the camera captured the set? Doesn’t it allow you to change things much faster? François: On the set, yes. You see exactly what it’s going to look like, and it’s much better than many years ago. When I started there wasn’t even video feedback. The part that is lost is the dailies at night, to have all the people from the crew that worked on the thing to meet and watch the work together. On modern sets you watch a bit on the video, but it’s different. Maybe I’m just nostalgic for my youth. I remember watching dailies long time ago with Robert Altman, and it was always a big thing. He would sit down, and there was food, and he would talk about what he liked and didn’t like. And at the same time it was a cinema lesson, a class. He was a master. He was talking very nicely, about what he liked and about what we should fix tomorrow. It was old-fashioned. It was nice. I don’t regret it, but sometimes I miss it. Kirill: What happens for you when the shooting is done. Do you take the sets apart? Is that a sad moment, or perhaps you get used to it after so many years of doing it? François: I’m very used to it. I don’t have any nostalgia, none at all. I know it’s a temporary thing that is not made to stay alive. A long time ago I did a set for “Mrs Parker and the Vicious Circle” and we’ve built the Algonquin hotel on stage in New York, and a guy bought it and made a set for a restaurant. But I never went to see it, I wasn’t interested in seeing my set in a restaurant. Kirill: What does stay with you after a production is over, not necessarily after a year, but perhaps after 5 or 10? Do you remember only the good parts? François: It happened a few times already for me. I do a project and I get home and I’m upset and complaining to my wife, and then a year later it’s out in theaters, and people see it and come for dinner and I only have good stories. And my wife would ask how I can say that after all those horrible things [laughs]. Some bad experiences stay with you forever, but you try to put them away and just keep the good parts. 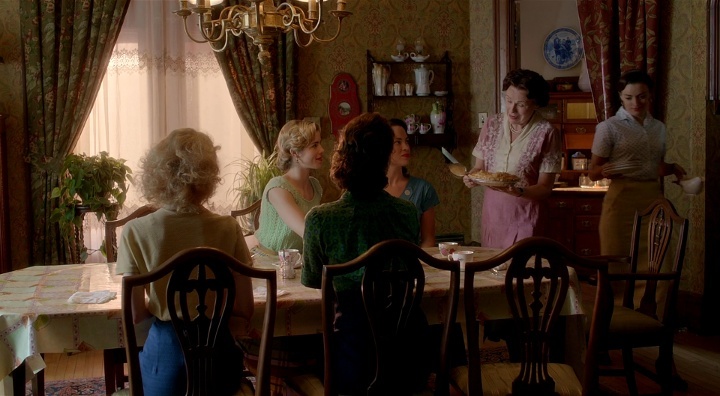 “Brooklyn” was not easy in a way, and because of the financial pressure we had a few tough talks in the office. But that is gone now. That’s life, and a few times I lost my cool, but that’s gone. Kirill: You know every set, and you remember every line in the script of a movie that you’ve just finished. When it is out in the theater, can you relax and watch the story instead of looking at the particular technical details? François: It takes many screening before I forget, before I’m not part of the film. On “Brooklyn” it took me three screenings before it stopped being all about me [laughs] or rather about my work. It takes me a couple of screenings to forget about my part and get into the movie. I was doing press in Los Angeles, and it was the fourth time that I saw it with the audience and I kind of let go and watched it. It’s difficult. Kirill: How about watching movies that you didn’t work on? Do you get immersed in the story, or are you looking out at the production bits? François: The first time I watch a movie, I just go straight into the story. Of course I see more than people who are not working in the film. I was watching “Son of Saul”, a Hungarian movie about World War II, and I was so involved with it. When a movie really takes me by the guts, I even forget my job. And when I watched “The Revenant”, with the pace that was slower and showed the landscape, I saw more. There was a little distance between me and the story. I was watching myself watching the movie in a way. It gave me time to watch all of that, while with “Birdman” I didn’t feel like that. On this one I saw the production value, I saw the landscape, I saw when they waited for 6 hours to shoot the sunset. On some movies where I’m totally involved, I have to watch them again to see the craft of people who did it. Kirill: Especially with big-budget sci-fi productions, there’s a lot of stuff happening on green screen with digital set extensions. How important is it for you to have the physicality of the set, to surround the actors with a physical environment? François: I think that CGI and digital enhancements are a great tool. But I like to give the actors the physicality. It’s already tough to be in front of the camera. And it’s the same for theater and opera. Without an actor there’s nothing. You have to be sympathetic and try to give them as much as you can to help them. 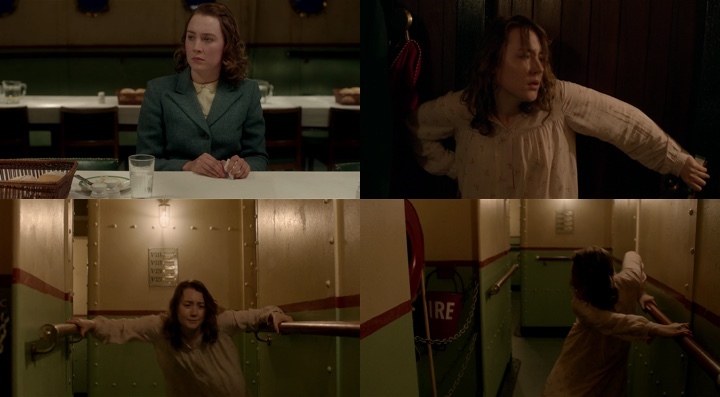 I remember that we had a little discussion on “Brooklyn” about how to make the ship move around Saoirse as she is getting sick and the boat is supposed to rock. And I convinced the director that we should make it on a gimbal so that the actress that is already doing a lot of things in the scene doesn’t have to fake the part of the set moving around her. I said “Let’s do the shaking, and she just has to act”. The director was easy to convince, but the producer insisted on just moving the camera and have her fake it. But for me it was important. I was ready to put this money in even on our small budget – just to help the actress. For me it’s the same thing with all the props. They are the ones saying the lines and having the camera on them. So everything you can do to help them – you have to do it. I can argue with the cameraman, or the DP or the lights. But when an actor says that they don’t feel comfortable and ask me to bring something, I usually follow. If it’s silly, I won’t, but in a good relationship with an actor, when they ask for a thing or two, I always go with it. Always. And here I’d like to thank François Séguin for finding time in his busy schedule and for this wonderful opportunity to talk about the art and craft of production design. If you’re interested in more stories on how films and TV shows are made, click here for more in-depth interviews.